Montreal's plan to add combined bus-bike lanes to some of the city's major streets is being met with skepticism by transportation experts and cycling advocates. 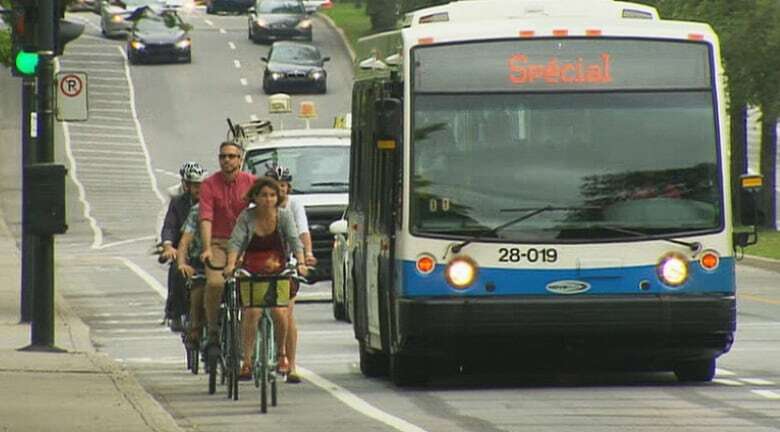 Montreal's possible plan to add combined bus-bike lanes to some of the city's major streets is being met with skepticism by transportation experts and cycling advocates. Mayor Denis Coderre's administration is considering major changes to some of Montreal's most important arteries, by taking away a lane for cars and replacing it with a reserve lane for buses and bicycles. Where are Montreal's 10 most dangerous intersections? Among the streets that could get an overhaul are: Papineau, St-Denis, Sherbrooke, St-Laurent, St-Urbain, Lachapelle, Rosemont and Henri-Bourassa. Portions of some of them — Papineau and de Lorimier — could also be turned into one-way streets. While the plans haven't been finalized, the proposal is already facing criticism. One urban planner says mixing buses with bikes isn't a recipe for success. "To have this kind of efficiency for bus use is really important. Then, of course, there's the issue of how this affects bike users and that's a whole other conversation," said Michael Wexler, a project manager at Copenhagenize Design Company, a planning firm that consults cities on best practices. Cyclists make their way along the De Maisonneuve bike path in downtown Montreal. (Charles Contant/CBC)Wexler, however, told CBC Montreal's Daybreak that the city is right to start looking at ways to prioritize certain modes of transportation — such as buses — over cars, to encourage commuters to use public transit. But he said designated bike lanes are a must if the city wants to encourage cycling. That's a perspective shared by the Montreal Bike Coalition. 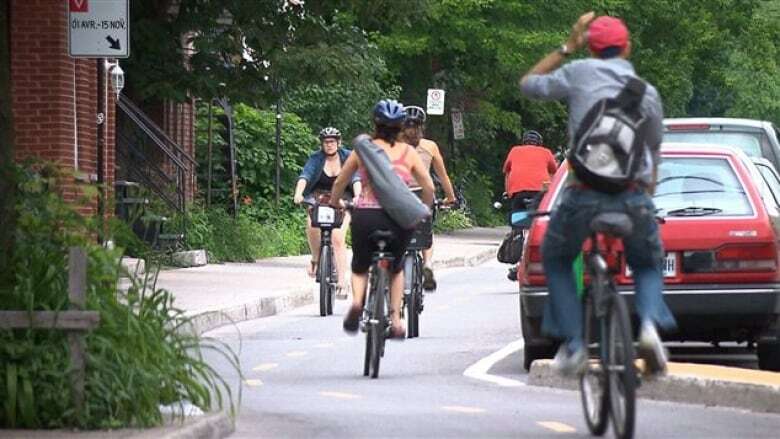 "If you want Montreal to become a world-class city for cycling you must provide protected intersections, especially on arteries, so that they can get to their destination directly, just as if they were driving," said Daniel Lambert, the group's spokesperson. Creating separate sections on the road for bikes and buses carries a high price tag, however. It would also likely mean cutting into either parking or road space. Magali Bebronne, a member of Vélo Québec, said research suggests a shared lane for bikes and buses can work in some circumstances and can be dangerous in others. The contributing factors include the width of the lane, the speed of traffic on the street and whether there is a clear division between the areas designated for bikes and buses. Viau Street has a new reserved bus and taxi lane, as well as a bike path, that is meant to ease congestion on a popular route in and out of the eastern portion of downtown. (Radio-Canada)On Viau Street, for instance, the shared bike-taxi-bus lane is larger than usual and divided into two — a one-metre-wide bike lane on the right-hand side and a standard lane for buses and taxis on the left. The Opposition at City Hall, Projet Montréal, hasn't come out against the plans, but argues the decisions shouldn't be made in secret. The debate comes following a difficult summer for cycling in Montreal, in which there were several high-profile accidents. A panel discussion featuring local politicians, cycling advocates and urban planners, is took place Thursday evening to discuss how to improve transportation safety in the city. Would a merged opposition have a shot at taking on Denis Coderre?